How do I buy a Jimmy John’s Sandwiches Franchise? Jimmy John’s Sandwiches - 2,720 Units and Growing. One of the fastest growing franchises in the U.S., Jimmy John’s makes fresh, fast, tasty sandwiches. Homemade bread is served freshly baked, and the meats and veggies are freshly sliced in-shop every day. Jimmy John’s seeks franchisees with real motivation and a track record of success. Read below to learn more about what it takes to own your own Jimmy John’s sandwich shop. 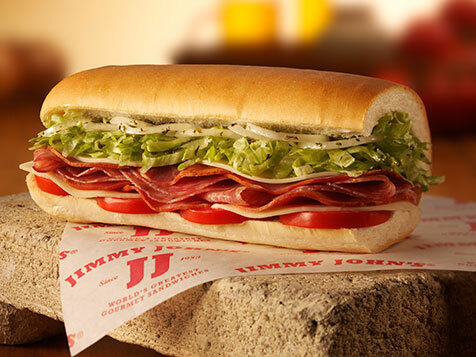 Open Jimmy John’s Sandwiches in any of these available states: AK, AL, AR, AZ, CA, CO, CT, DC, DE, FL, GA, IA, ID, IL, IN, KS, KY, LA, MA, MD, ME, MI, MN, MO, MS, MT, NC, ND, NE, NH, NJ, NM, NV, NY, OH, OK, OR, PA, RI, SC, SD, TN, TX, UT, VA, VT, WA, WI, WV, WY. Jimmy John’s has something people crave – honestly good sandwiches and world-class service. With a limited, focused inventory, we keep things simple. We offer our customers freaky fast service, high quality products and consistency to keep them coming back. Currently, there are 2,720 stores open and they average in size 1,200 – 1,800 square feet. What are the average annual sales of a Jimmy John’s store? Jimmy John’s seeks franchisees that have real motivation and a track record of success. Our operators are the best in the country. They do whatever it takes to get the job done. They work hard and have fun doing it, too! You’ll need a minimum of $80,000 in non-borrowed liquid assets and a net worth of at least $300,000. The total cost of each unit varies by size and location. Jimmy John's franchisees pay an initial franchise fee of $35,000. Fees for subsequent stores are $30,000 respectively. Royalty and continuing services fees are 6% of gross sales. Advertising fees are 4.5%. All new franchisees participate in an intense 17-day training program and 4-week apprenticeship program. When you’re done, you’ll be fired up to operate your store! 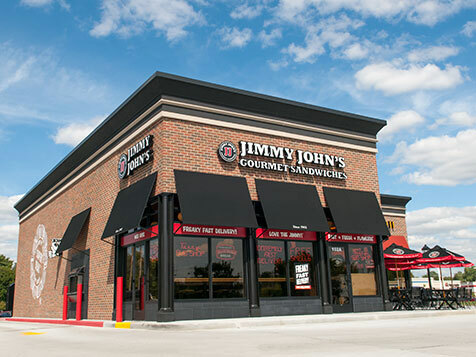 Jimmy John's offers investor growth opportunities. 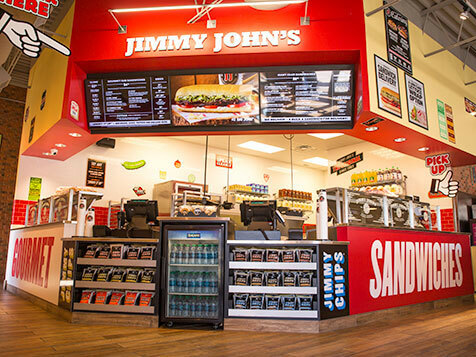 The average Jimmy John's franchisee opens a second store within two years of the first. Multiple unit owners are our fastest growing franchise segment. 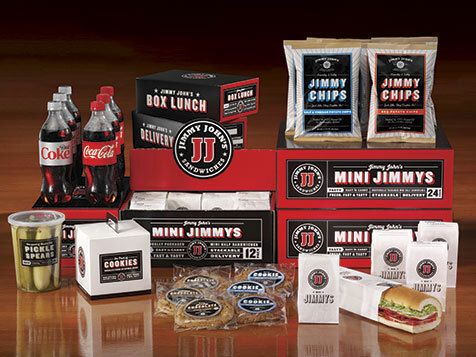 Contact us to learn more about what it takes to own your own Jimmy John’s! *Figures reflect averages for thirty-five (35) affiliate-owned restaurants that opened before January 1, 2012, as published in Item 19 of our April 2017 Franchise Disclosure Document. These averages are based on a 53-week annual period from December 30, 2015 through January 3, 2017. Of these thirty-five (35) restaurants, 16 (46%) had higher gross sales, 17 (49%) had higher food and paper costs, and 15 (43%) had higher net profit percentage during the reported period. The financial performance representation contained in Item 19 of our April 2017 Franchise Disclosure Document also includes (1) average and median system–wide gross sales, average and median franchise gross sales, and the number and percentage of restaurants exceeding the averages during the referenced period, (2) average and median gross sales, average and median food and paper cost, and average and median net profit percentage information during the referenced period for sixteen (16) affiliate-owned restaurants that were opened after January 1, 2012 and before January 1, 2016, and (3) other average and median performance information for affiliate-owned restaurants. A new franchisee’s results may differ from the represented performance. There is no assurance that you will do as well and you must accept that risk. This offering is made by prospectus only. Jimmy John’s Sandwiches is not currently active in our directory, but here are some other recommended selections for you to explore.